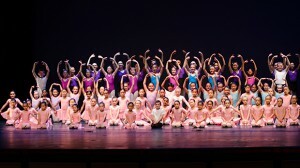 Princeton Dance and Theater Studio, Inc. was founded in 2003 by Susan Jaffe (former principal dancer at American Ballet Theater) and Risa Kaplowitz (former principal dancer with Dayton Ballet). Its mission is to provide students with the highest quality training available enabling them to grow as performing artists and dance enthusiasts. While PDT anticipates many of its students to grow into professional performers, its main goal is to empower all students with confidence, discipline, and creativity. These attributes, along with an appreciation for the performing arts, are often the result of authentic dance training. The skills gained by exceptional dance training last a lifetime. 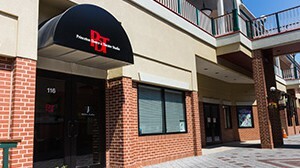 Every class at PDT is taught by seasoned professional instructors with years of experience. World-class instruction given in an accessible and warm manner is our priority. A list of where alumni are now as well as testimonials from students and parents. A collection of professional photos from photographers Rosalie O’Connor, Paul B. Goode, Melissa Ackerman, Ashley Concannon, Horst Frankenberger, and Brenda Paulicelli. PDT is proud to partner with world-class institutions to provide its students with extraordinary training and opportunities. PDT offers three beautiful studios for rent when not in use for regularly scheduled classes. Long-term rentals are preferred. Stay informed about key dates at the studio including holidays and make-up days for weather closings. The calendar is based on 32 classes/year. Due to various holidays, Princeton Youth Ballet performances, and specific teacher absences, the schedule is not intuitive. Email reminders will be sent throughout the year, so please watch your inbox for calendar notifications.